These are some interesting facts and tips that you would want to know about Washington DC. * Washington DC is the 19th largest city in the country. Its main industry is the government. Almost half of its population is under the federal payroll. In addition, many people are in politics. * Over 20 million visitors flock to DC every year trying their luck in politics, business and travel. 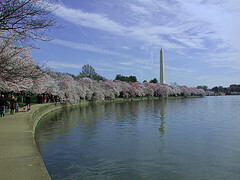 In addition, Washington DC is a traditional hot spot that draws many foreign travelers. * If you decide to walk around the city, there is a good chance that you will find something of your choice and appetite. The good thing is that you can easily be satisfied. The city is abundant with restaurants. You will find different kinds of cuisine from Burmese, Vietnamese, Brazilian, American and more. Any craving will definitely be met. Almost all restaurants can be accessed using the Metro. * Although there are hundreds of hotels in Washington DC, it is advisable to book in advance. Hotels are like temporary homes for visitors. During April, the rates could be higher because of the Cherry Blossom Festival. * DC is not anymore a boring town as it used to be. Over the last years, the arts have blossomed. The John F. Kennedy Center for the Performing Arts has become a world class venue for variety of performances from musical to drama. * The US capitol serves as a main point for the district’s street system. Every quadrant designation has a relation to the building. It is interesting to know that the dome contracts at least 4 inches a day depending on the temperature. The statue on its top is called Freedom. 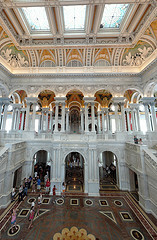 * Almost every book can be found in the Library of Congress. There are millions of books stored in this library. Take note that you have to do the reading inside because only members of congress and elite borrowers are allowed to check out books. * The Washington monument is the world’s tallest masonry. The 20 minute steam operated elevator was first available to men because it was considered dangerous for women. Today, visitors can only climb to 898 steps. * 1600 Pennsylvania Avenue is a famous address in America. It serves as a residence of every US president. Each year, there are over millions of visitors flooding this 32 room home. * There are many well known artifacts found in numerous museums in Washington DC. This includes Hope Diamond, Leonardo Da Vinci’s paintings and more.